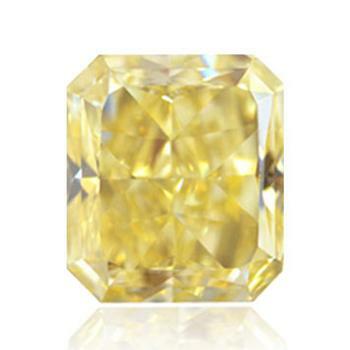 Natural diamond of original yellow color. 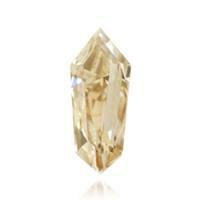 - A 1.50ct cushion shape Fancy Light Yellow diamond with a great color saturation. The stone is GIA graded VVS1 clarity, very good polish and good symmetry. A perfect stone for a Canary diamond engagement ring. Sert. GIA. 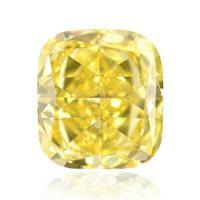 View all sale offering by yellow diamonds. 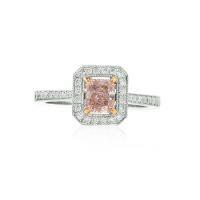 One of the most important characteristics influencing the price of a diamond is its color. 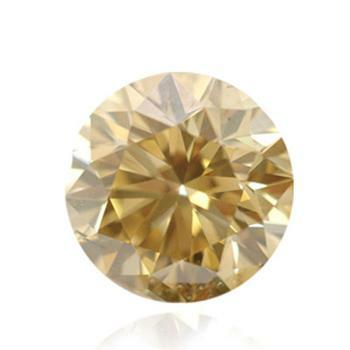 It is impossible, with the naked eye to distinguish a difference in one position cut quality or purity of a diamond, and we notice the color change immediately. 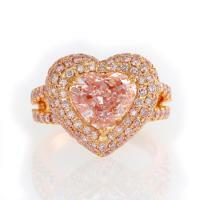 Fancy diamonds are diamonds, vivid colors which are absolutely unique product of nature. Mining of colorless brilliants makes for today some million units per year, the amount of color brilliants of fancy colors makes only tens. 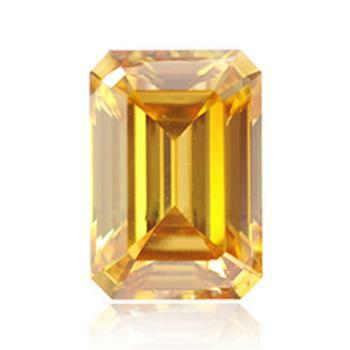 Such small amount of extracted color brilliants leads to that color diamonds are the most expensive gemstone in the world. Fancy colored diamonds are divided by color and shade, among them yellow brilliants are rather widespread. The weak shade is undesirable to colorless brilliants and reduces the stone price, but for brilliants of fantasy colorings the price for carat will increase at increase in intensity of color, in this case the yellow color. The existing color scale of "yellow" brilliants is rather various. 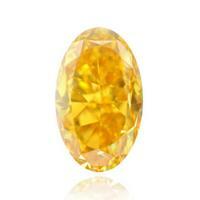 In the nature it is possible to find stones from "light yellow" to, really, "vivid yellow". 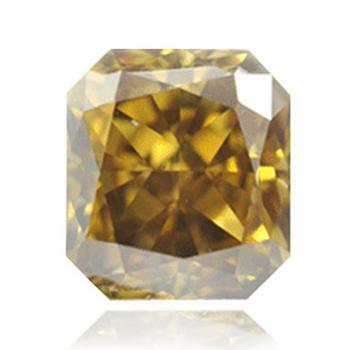 Brilliants acquire a yellow color due to changes occurring in their crystal lattice. In the process of the formation of brilliant carbon atoms are replaced by nitrogen atoms. This process most often leads to emergence of a subtle shade, but at intensive absorption of particles of nitrogen the color of brilliant acquires very intensive coloring. Determination of purity, quality of cut, weight of a diamond and, certainly its colors, is carried out according to the international system of classification of GIA (Gemological institute of America). Yellow diamonds depending on a shade and a saturation are subdivided into subgroups, for example, light yellow, yellow, intense yellow, vivid yellow, etc. 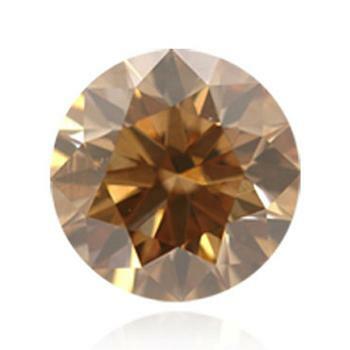 Diamond cost increases sharply as the intensity of the color. 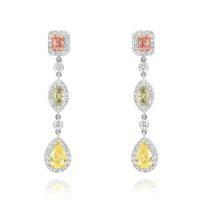 Gloss of brilliants is always attractive, but sparkle of fancy yellow diamonds in awe leads a many women's hearts. The high price is caused by a rarity of a stone limits possibility of purchase. 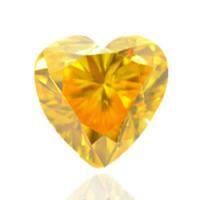 Only few are able to afford to buy a ring with a yellow diamond. Presence of ring yellow diamond indicates the some status of its owner. 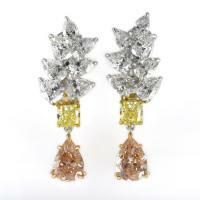 According to statistics, jewelry with fancy color diamonds prefers to get the majority of holders of great fortunes, first of all. 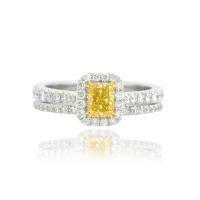 At purchase of rings with a yellow diamond it is more preferable to choose yellow gold for a frame. 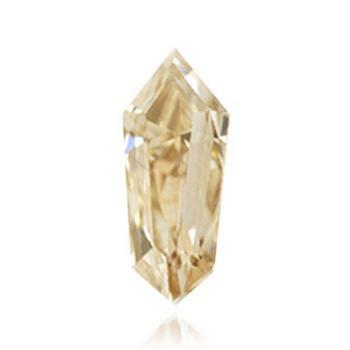 Though, the yellow diamond gives uniqueness and nobility to any ring. Owing to high uniqueness of fancy diamonds are not covered most of the market laws existing for usual diamonds. 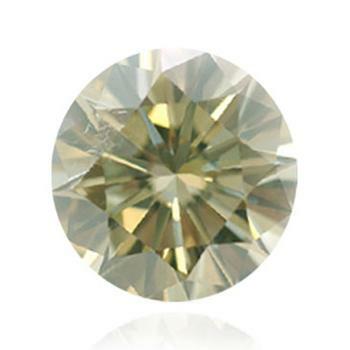 Rating fancy diamonds produced on other principle, color diamonds are sold only in certain places. In jewelry stores there are no natural yellow diamonds of fancy colors. 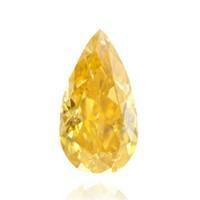 Because of a rarity of natural color diamonds the price is very high and can reach even $ 1 million per carat. The cost of the intensive-yellow diamond weighing 13.83 carat sold at Sotheby's auction at $3.302.500, and yellow diamond weighing 11.75 carat was sold at Christie's auction by $1.888.214. 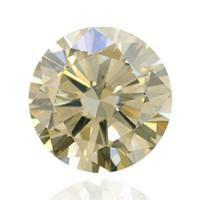 Price fancy diamonds depends mainly on the purity and cut and, of course, the color intensity. At the Sotheby's auction, in November 2011, was sold a yellow diamond called "Sun-Drop Diamond". 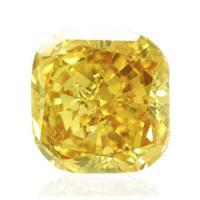 It is the largest of the famous yellow diamonds. 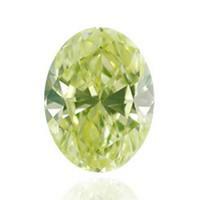 Weight of the gemstone was 110.03 carats, the price reached $ 12.3 million. At purchase colored diamond for quality assurance necessary to receive GIA or EGL certificate. These certificates have a signature expert and personal numbers that can be checked via the Internet. 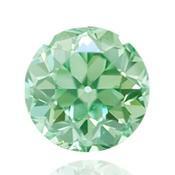 Certificates of GIA or EGL aren't forged and really are guarantors of quality of a diamond. For diamonds, received a certificate from GIA or EGL laboratories can be engraved certificate number with a laser that can’t be forged or sanded. 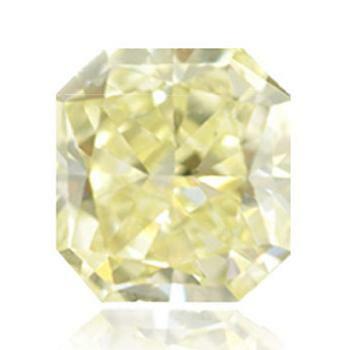 Diamonds with a less intense yellow color are more often and, respectively, have a lower price. 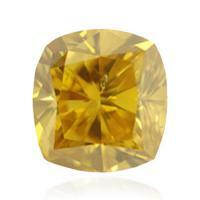 Natural fancy yellow diamond can be bought only on the diamond exchange or auction. 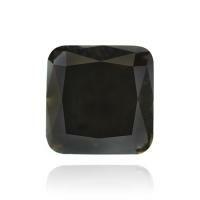 In shop in 90% of cases these stones won't be natural. 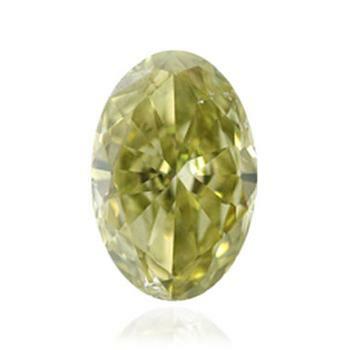 It is necessary to remember that buying a fancy diamond it is very important to receive the gemological certificate of GIA, this certificate will be a guarantee of naturalness of a yellow fancy diamond. 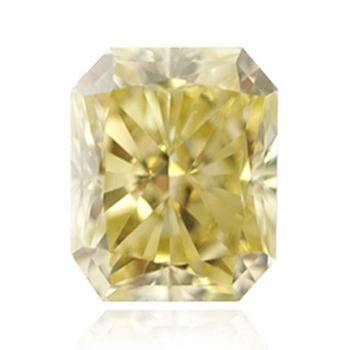 World's most famous yellow diamonds. · Cutting is cushion shape. The diamond “Allant” is called in honor of the owner, the major Alfred Ernst Allant, who was a soldier, an athlete, a known patron and the philanthropist. The place of extraction of this diamond is considered mine in South Africa which is known today as De Beers Premier Diamond Mine. In the early 50-th, at the request of his owner Allant, Cartier's firm turned a brilliant into a beautiful flower with five petals and platinum stem with two leaves. 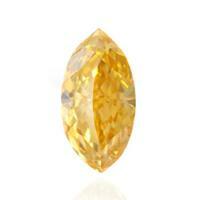 Yellow Diamond “Sancy” is one of the most famous yellow diamond. This light yellow diamond fluoresces yellow and pink colors, it weighs 55.23 carats. 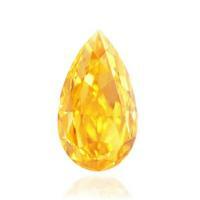 This yellow diamond is famous by brilliant history, from which it was cut​​. 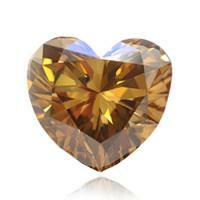 It is believed that the birthplace of “Sancy” diamond is India. And its history begins from the French ambassador Nicolas Harlaille señor de Sansy who got a yellow brilliant in 1570 and, gave him name. 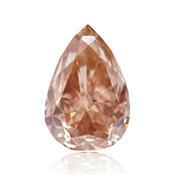 Sancy diamond was loaned to the French kings Henry III and Henry IV. Then sold to the English Crown, and subsequently sold by James II to Cardinal Mazarin back to France for the sum of £ 25,000. 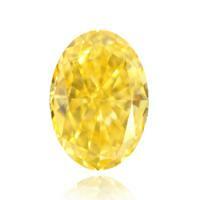 The cardinal bequeathed a yellow diamond to the king. Further it was used to raise money for war, is stolen during a big robbery of royal jewelry during a Great French revolution of 1789 – 1794 years. 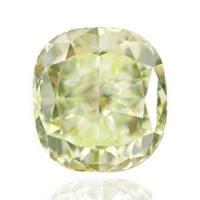 Since then, the history of yellow diamond “Sancy” unknown until 1828, when it was purchased by knyaz Demidov for £ 80,000. 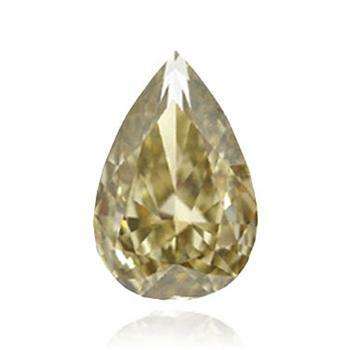 “Sancy” diamond stayed in the family collection Demidovs until 1865, and then was sold to Sir Jamsetjee Jeejeebhoy, an Indian prince for £ 100,000. And it was again sold a year later. 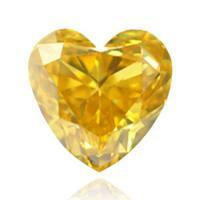 In 1867 the yellow diamond “Sancy” was presented at the Parisian exhibition and estimated at 1 million francs. And disappears for 40 years. “Sancy” reappeared in 1906, when it was bought by William Waldorf Astor the 1st Viscount Astor. Famous Astor family owned diamond for 72 years up to the 4th viscount Astor who sold in 1978 an exclusive yellow diamond in Louvre for $1 million. 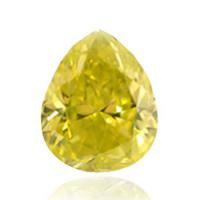 Currently, yellow diamond Sancy is the Apollo Gallery near diamonds as Regent and Hortense. 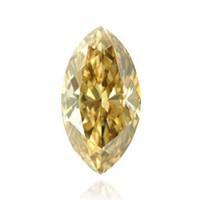 In 1887, golden-yellow diamond at 287 carats was found in South Africa. Brilliant was bought by jewelers of the Tiffany house for $18000, and cut him a diamond at 128.51 carats, cushion shape with 90 faces. 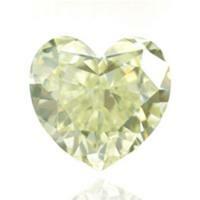 The famous expert Georg Frederick Kunz cut a diamond about 2 years. For many years, Tiffany yellow diamond participated in various exhibitions. He visited the 100th anniversary of the mines of Kimberley, and at the World Exhibition in 1939. 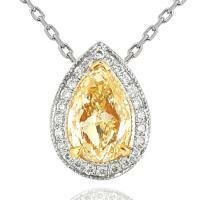 In 1957, a yellow diamond was set in a diamond necklace on the occasion of the ball Tiffany. 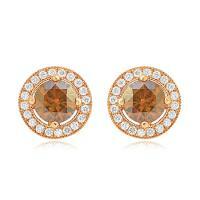 It was worn by two women Sheldon Whitehouse and Audrey Hepburn in the film “Breakfast for Tiffany”. In 1960, Tiffany yellow diamond was set in the original frame "Bird on a Rock". 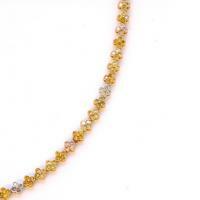 Diamond frame was made of gold and platinum and is dotted with small yellow and white diamonds. The author frame is designer Jean Shlyumberg. In 1972, Tiffany yellow diamond was put up for sale. 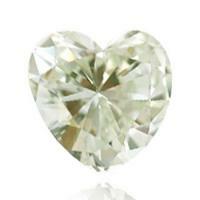 Diamond was established price of $ 5 million. Wanting to buy a diamond wasn’t be found. Since then were repeated attempts to sell the yellow diamond, the price of stone and raised continuously increased up to 12 million dollars. Most likely, these attempts were only advertising. 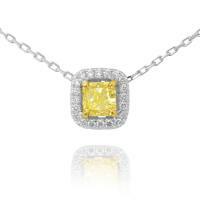 It is heavy to present that Tiffany's company will decide on sale of the yellow diamond, which has turned into a symbol. Famous Tiffany yellow diamond is still showing in the armored storefront Tiffany & Co on Fifth Avenue, to the delight of many visitors. 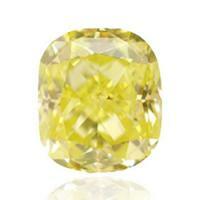 Yellow diamond De Beers is the seventh largest in the world among all cut diamonds. 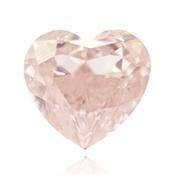 Weight is 228.5 carat. Diamond light yellow color, weighed more than 400 carats was found in March 1888 at the mine of De Beers. Gemstone was cutting at “Cushion” shape, 200 carat of brilliant was lost during cutting. 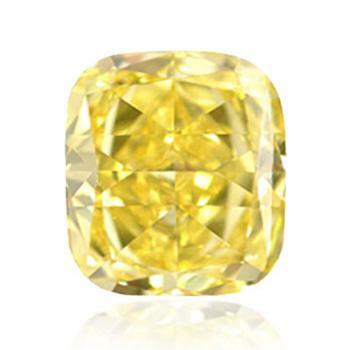 In 1889, De Beers yellow diamond was shown at the International Exhibition in Paris. 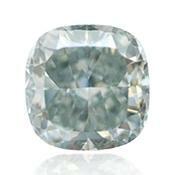 After the exhibition diamond “De Beers” purchased Maharajah of Indian city of Patiala. 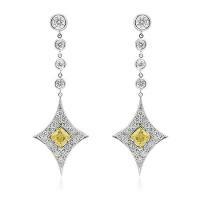 In 1928, the jeweler house of Cartier at the request of the maharaja inserted De Beers diamond into the necklace which are put on especially solemn occasions. Besides a yellow diamond “De Beers” the necklace was decorated with seven other large diamonds of different weight from 18 to the 73rd carat and about 3 thousand smaller diamonds and Burmese rubies. In 1947, after the declaration of India independence, the necklace disappeared. 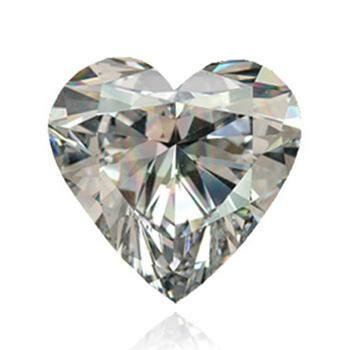 And many years later, the famous diamond necklace appeared on a counter of one of the London jewelry stores, but unfortunately, without the majority of their most valuable stones. In May, 1982, the yellow diamond “De Beers” was put up for auction in the Geneva branch of Sotheby's the auction house and was sold for $3.16 million. 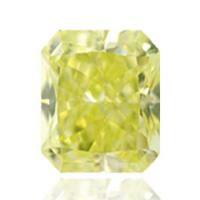 Lemon-yellow color diamond, is notable for its fantastic brightness. 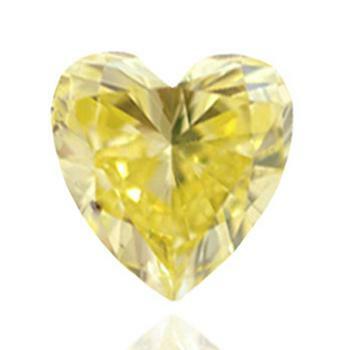 In spite of the fact that diamonds of yellow color found in the nature considerably more often than, for example, blue or pink brilliants, a diamond Florentine is unique since has unusually delicate shade of yellow color. 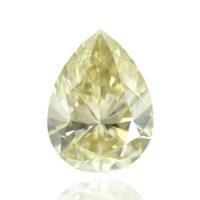 The diamond is also known the names of "Austrian Yellow Diamond" and "Tuscan". 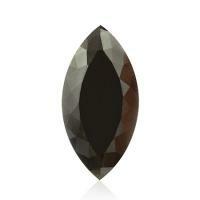 History of diamond is very confused, especially early on. 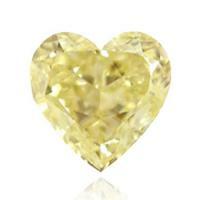 It is considered that the yellow brilliant "Florentine" is one of the oldest diamond of world. 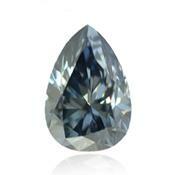 It is considered that the diamond was brought to Europe from India in the XIV century. 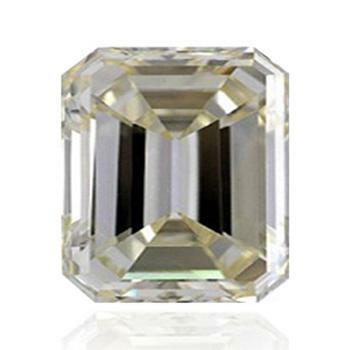 The initial weight of a gemstone is unknown, but after the first cut the diamond had weight 137.27 carats and shape of nine-coal briolette with nine faces of chain. 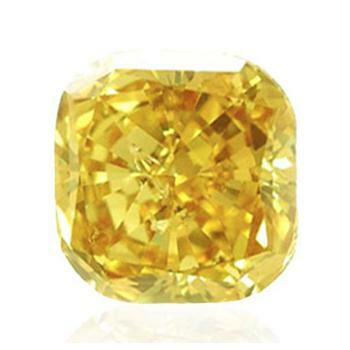 Diamond owners were: the Duke Sforza of Milan, Pope Julius II, as a result of various intrigues this extraordinary yellow diamond became the property of the Florentine branch of the Medici family and received two of its name - "Tuscan" and "Florentine". 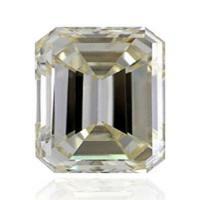 Since the XVII century, the history of the diamond becomes more clear and detailed. In 1743, a yellow diamond Florentine inherited by the Austrian Empress Maria Theresa. In 1918, after Habsburg dynasty falling and the royal family ran to Switzerland, the “Florentine” (or as it called in present "The Austrian yellow diamond") moved to Switzerland. After, the yellow diamond was gone. Still, exact location of a diamond is unknown.